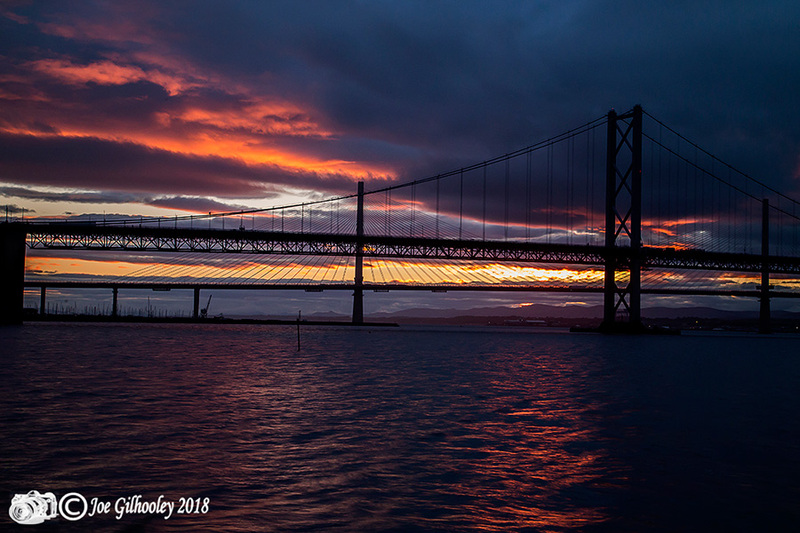 Sunday 8th July 2018 . 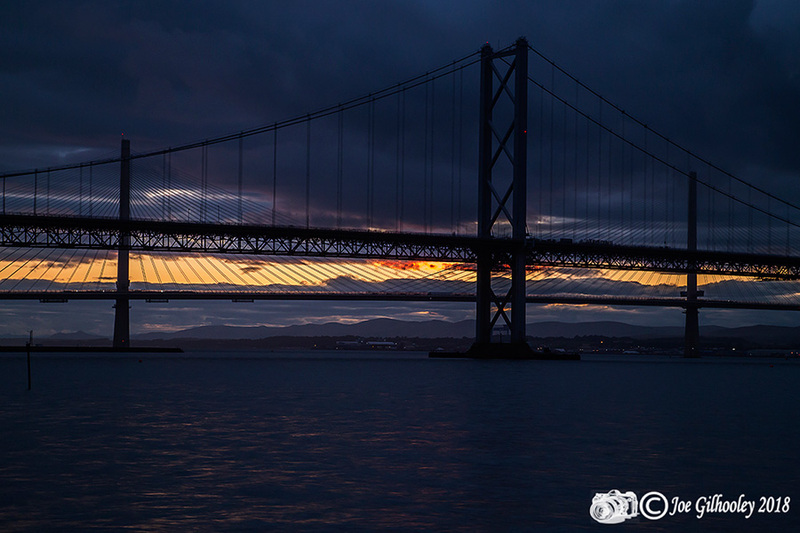 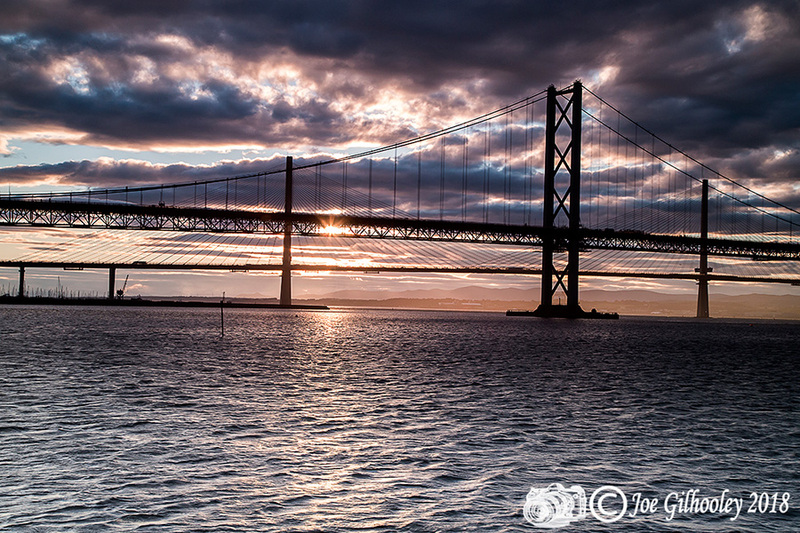 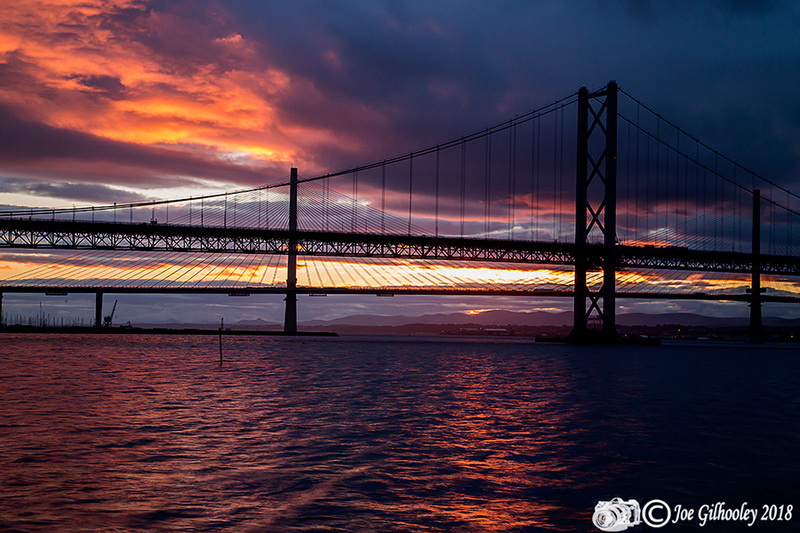 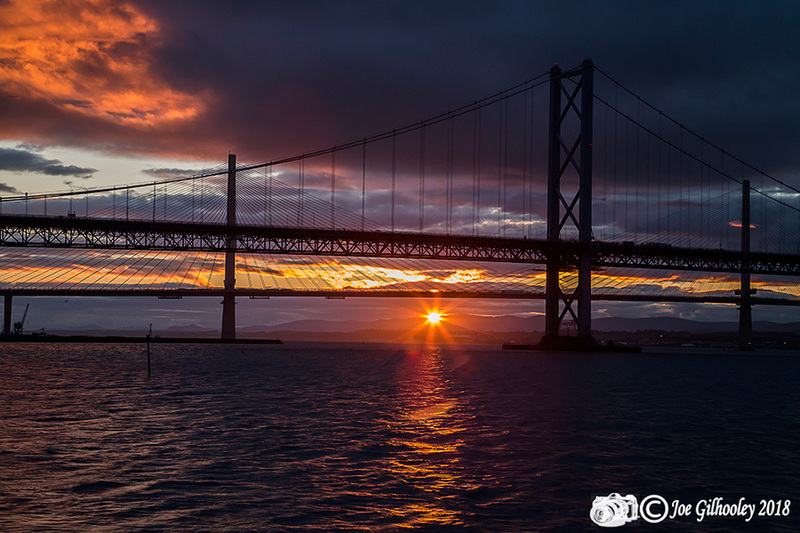 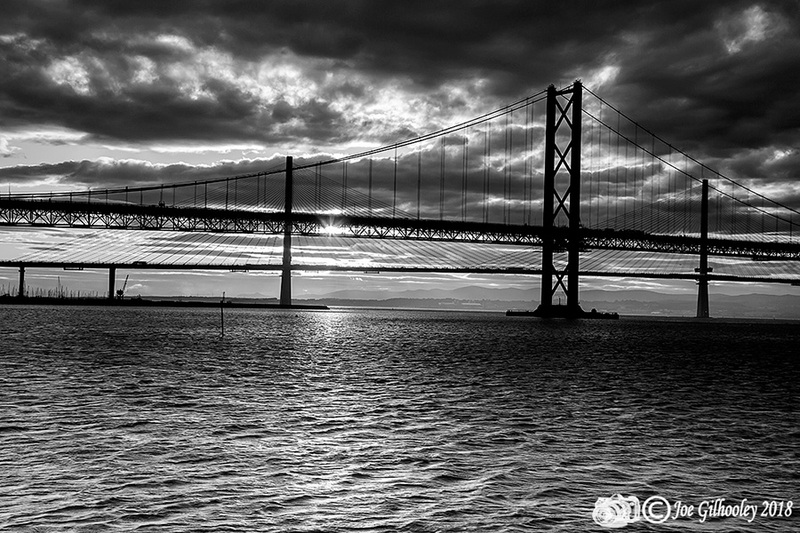 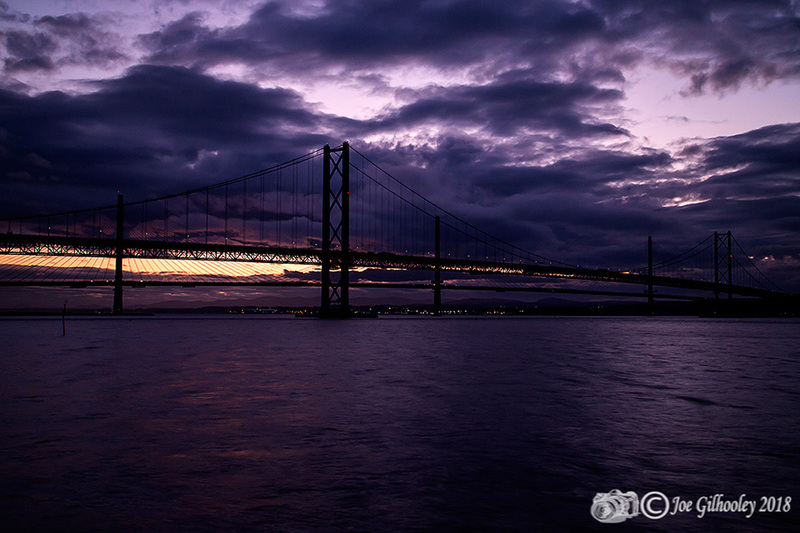 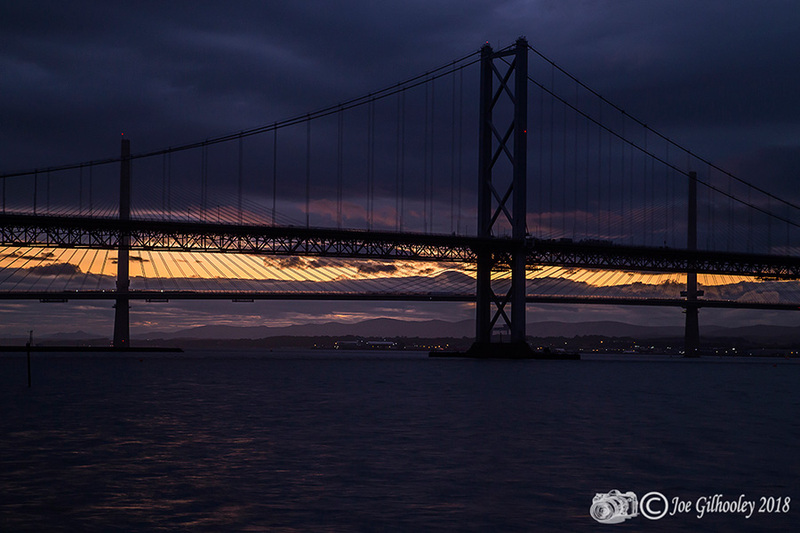 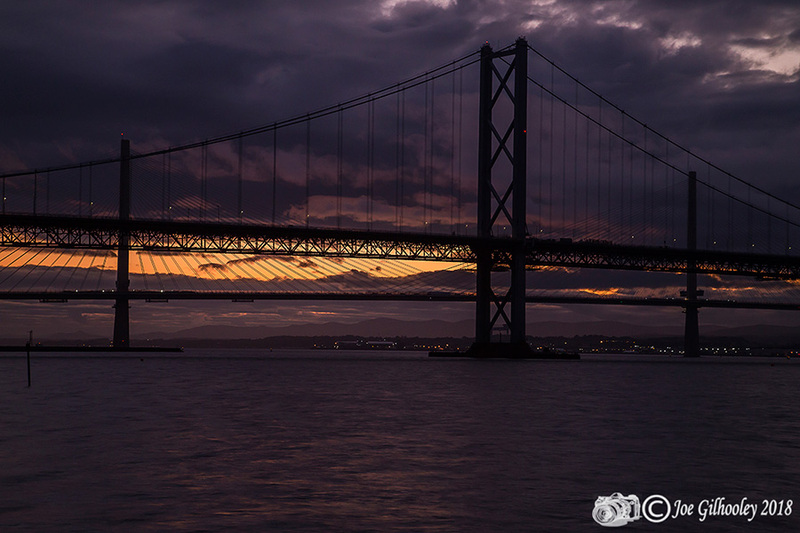 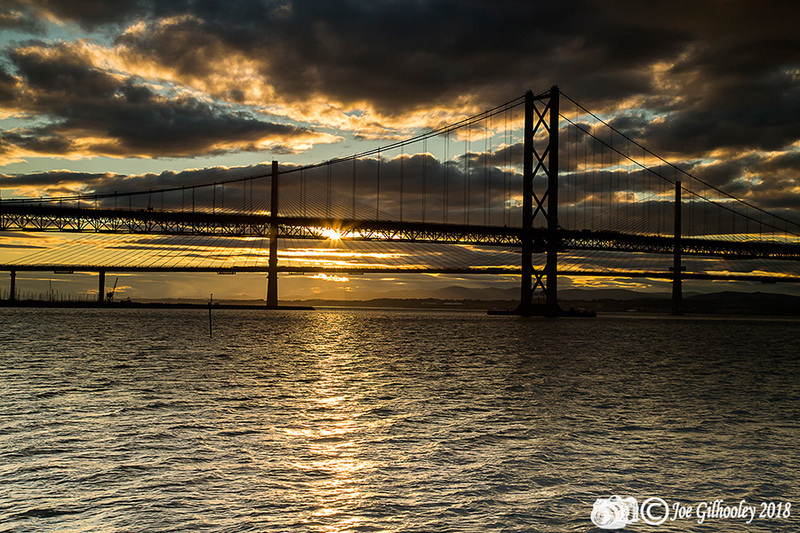 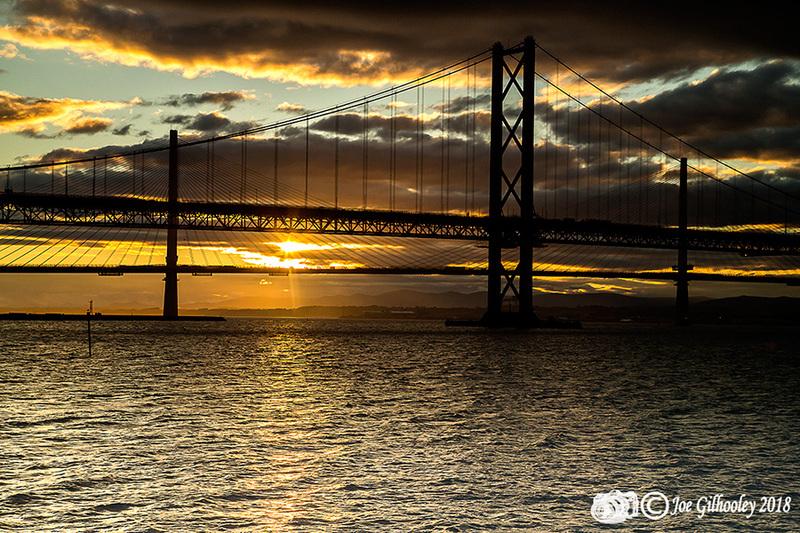 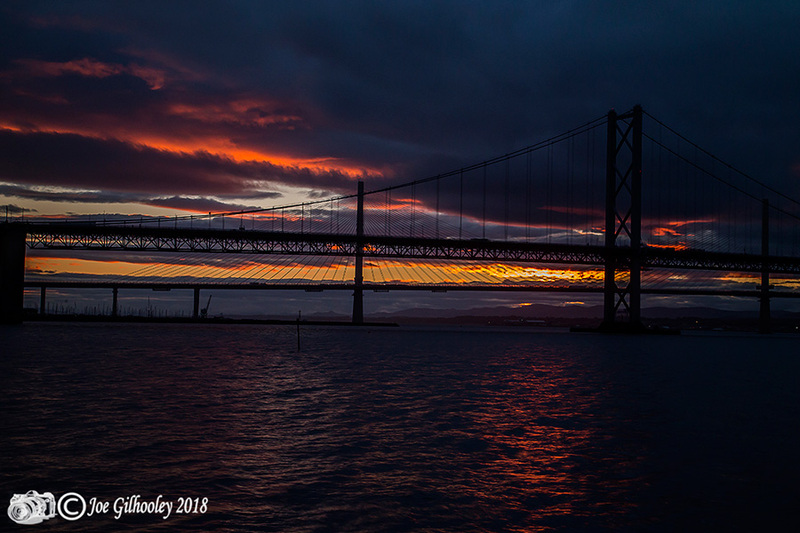 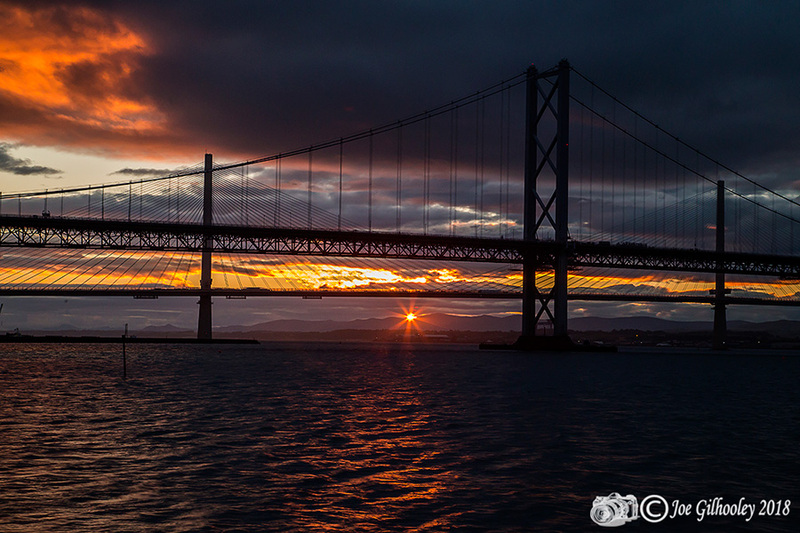 A sunset over The Forth Road Bridge and Queensferry Crossing. 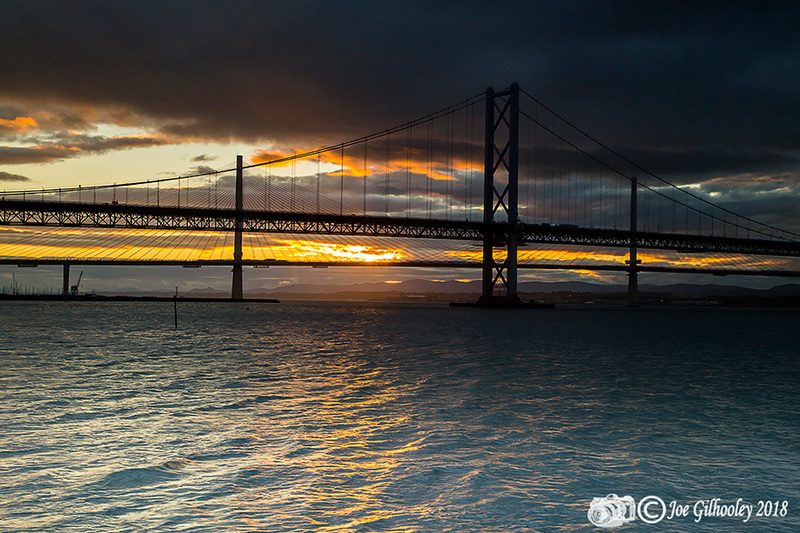 There were heavy clouds that were breaking now and then to let low sun through. 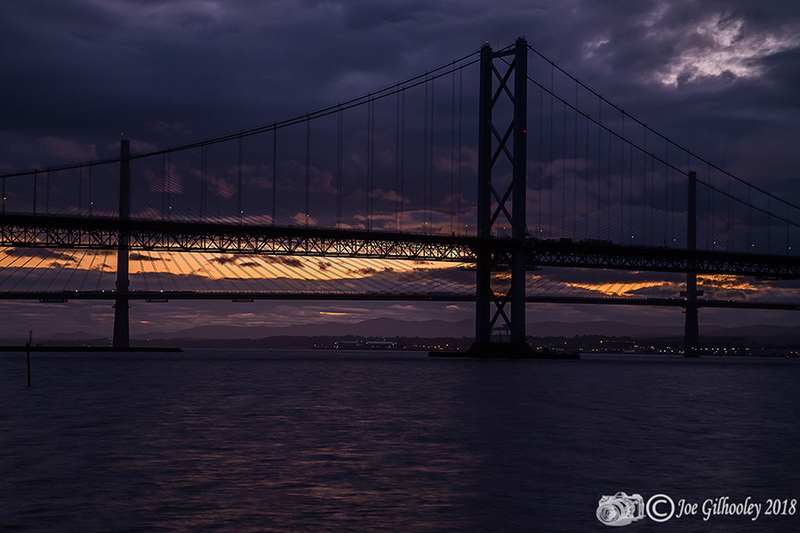 Here are a set of images I captured before, during and after sunset. 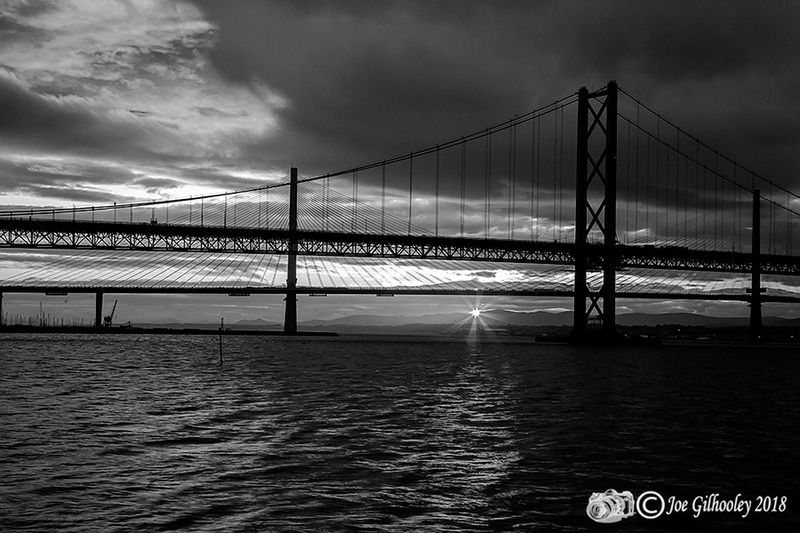 See also low sun catching Forth Bridge behind me.